Bouncy pets and lively children love to play outside but they can cause chaos on a natural lawn. Say goodbye to muddy messes, well-worn walkways and patchy play areas with our quality Play Lawn. Offering long-lasting durability and hard-wearing fibres, our Play Lawn will transform your garden into an all-weather paradise that is safe for your family to play in all year long. The Play Lawn has been designed with resilience and recovery in mind. 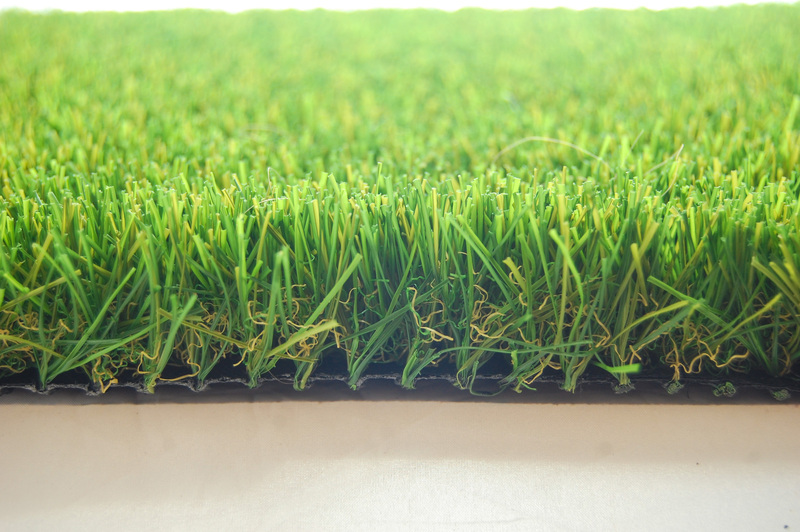 Your pets can run up and down to their heart’s content, the kids can have a kick-about whenever they fancy, and when used in conjunction with our Grassflex Shock Pad, Play Lawn will offer the perfect solution for installation under garden play structures and play equipment. Boasting a three-tone, 35mm pile with a combination of both straight and curled C-shaped yarn, Play Lawn offers an attractive natural appearance and is a low-maintenance solution for your family garden. Order your own hard-wearing Play Lawn today for an improved garden tomorrow.